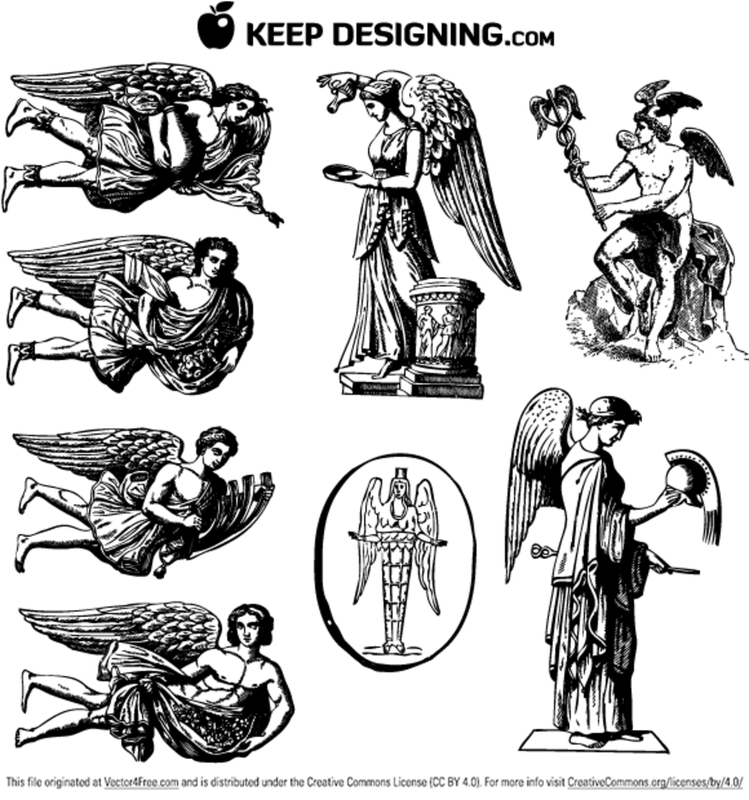 There are eight illustrated angel vectors in all. These are copyright free artworks that can be used for any personal or commercial use. The download zip file contains one eps file functional to anyone running adobe illustrator eight or higher.